ArtVaults Season 4 opened on Wednesday 9th July with an evening reception at the Merchant’s Hall, Southampton and despite the weather saw a fantastic number of visitors. Quilters Vault houses work by Sarah Tyler and Alyce Taylor both second year undergrads from Winchester School of Art. A detail of Sarah Tyler’s restored latex dividing wall which is convincingly haunting in the dark vault. 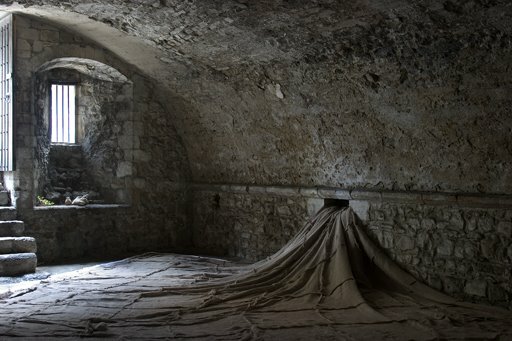 Alyce Taylors textile installation which spills into the vault and covers the floor referring to the original use and history of the vault itself. 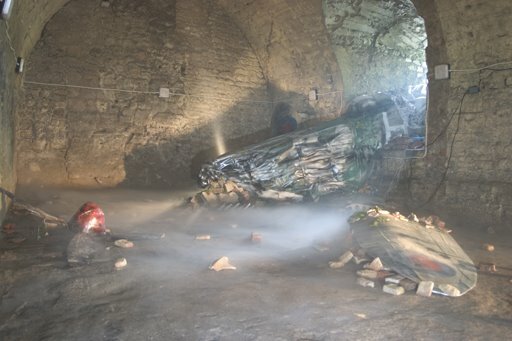 Castle Vault presents the multi-media installation by pupils from Hounsdown school which depicts a Spitfire crash scene with search lights and haunting sound effects, pictured below. The two vaults were part of the New Creators competition and I had the pleasure of mentoring the students who won the opportunity to show alongside professional artists as part of this years ArtVaults. 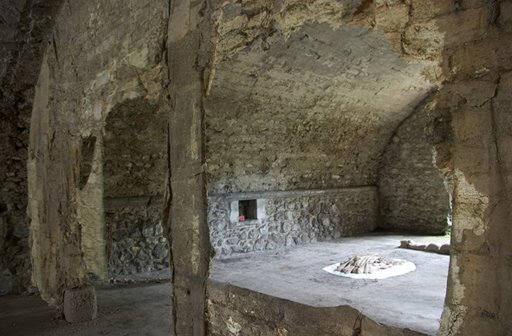 The successful development and installation of the New Creators artwork in these medieval spaces has resulted in an incredibly professional display of young local talent. ArtVaults is open every weekend from 12 – 4 pm until 21st September and is free entry. Please show your support for what is becoming the largest and most visually spectacular art event putting Southampton on the map.